JL Raptors all over the lake! Raptors all over the Lake! 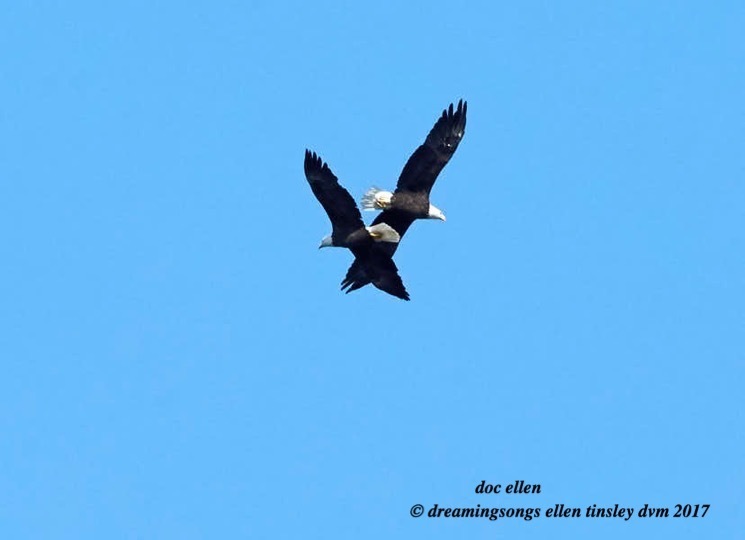 This pair of adult eagles spent several minutes circling each other before straightening out and together heading west. 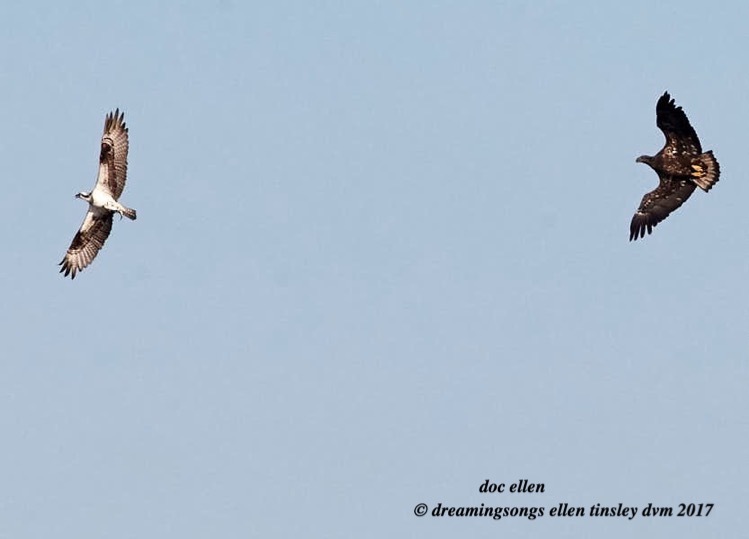 The fledgling osprey on the left has a fish. The fledgling bald eagle on the right wants it! 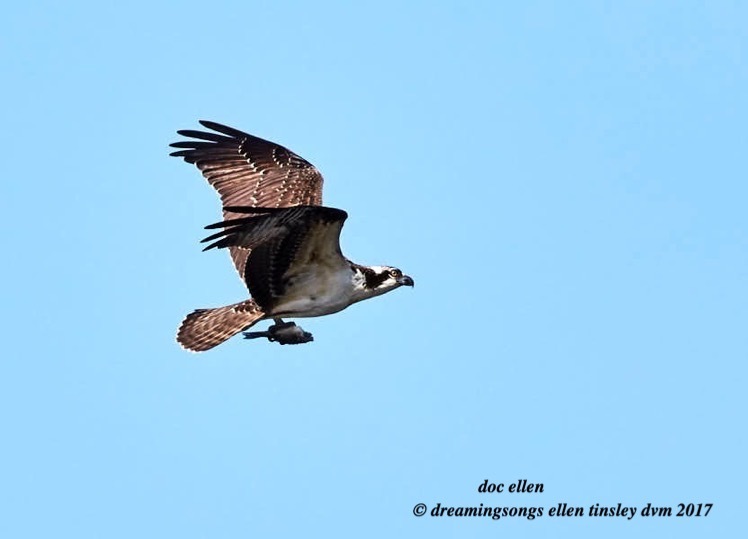 The osprey held onto his meal. A female fledgling very proud of her fish. She caught it, went to a perch and removed its head before flying off to find a safer place to eat. 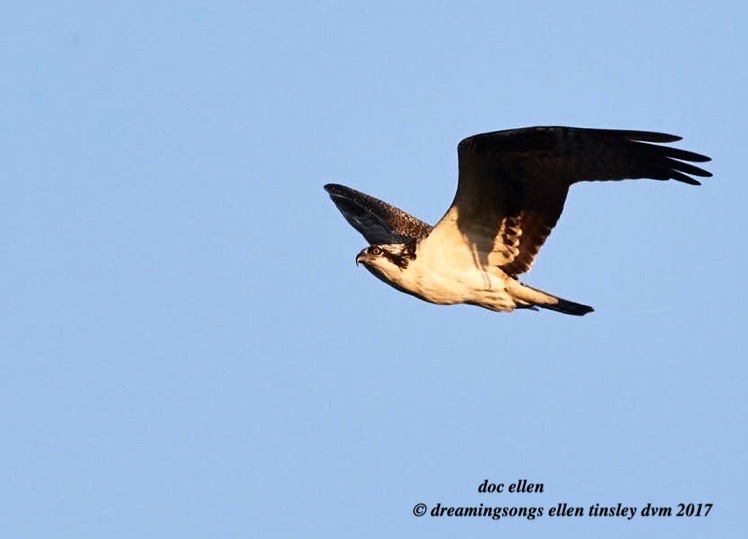 Some time later I realized I was looking at a now well-fed female juvenile osprey! Posted in birds, Eagles of Jordan Lake, Jordan Lake, Jordan Lake State Park, ospreys of Jordan Lake, photography, raptors, wild birds and tagged as American bald eagle, bald eagle, bald eagle fledgling, bald eagle flight, bald eagles of Jordan Lake, eagle, eagles of Jordan Lake, immature bald eagle, immature eagle, Jordan Lake, Jordan Lake State Park, osprey, osprey flight, ospreys of Jordan Lake, raptor.